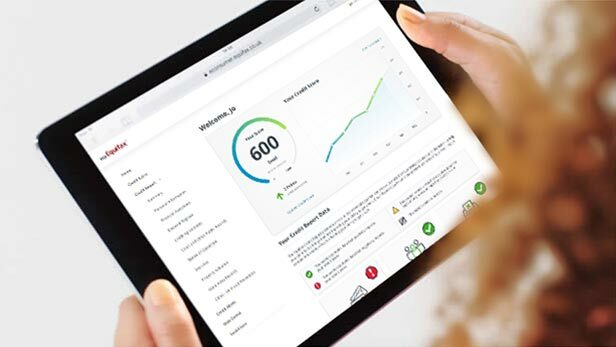 Your Equifax Credit Report & Score gives you online access to your credit, social and personal information. We’ll also send you regular alerts when we’ve identified any significant changes to your financial or personal details, so that you can take the necessary steps to correct any details that aren’t right. Equifax Credit Score – You’ll have unlimited online access to your Equifax Credit Score. Our score levels range from very poor (0-279) to excellent (over 466). This gives you an indication of how creditworthy a lender may find you, if you’re applying for credit. Equifax Credit Report – You’ll also have unlimited access to your Equifax Credit Report. This covers your credit history as well as information on you that’s available to the public, like electoral roll details and county court judgments. You’ll get the report in a ‘traffic light’ system that’s colour-coded so that you know which areas may need your attention. Find out more about what’s on your Equifax Credit Report here. WebDetect – This keeps an eye on websites frequently used by fraudsters to trade personal information. It will alert you if it finds any of the information that you’ve asked us to monitor on these sites. You can have it monitor up to six email addresses, six telephone numbers, 12 credit/debit cards, six bank accounts, as well as your driving licence and National Insurance numbers. Social Scan – This searches around 100 social media sites for personal information about you that’s available to the public. You can request a report to see your fraud risk. This can help you to pinpoint where to make any changes to protect your identity online. Alerts – We’ll send you weekly alerts if we find any significant changes to your Equifax Credit Report. We’ll also send daily alerts if the information you’ve asked us to monitor is found on websites frequented by fraudsters. If you receive an alert you can log into your Member Centre to find out why it’s been generated. Marketplace – Browse our Marketplace for deals on loans, credit cards or broadband. Newsletter – You’ll also receive a monthly newsletter that’s tailored to you. You can also find more resources on credit, loans, mortgages, identity protection and other relevant topics in our Knowledge Centre.